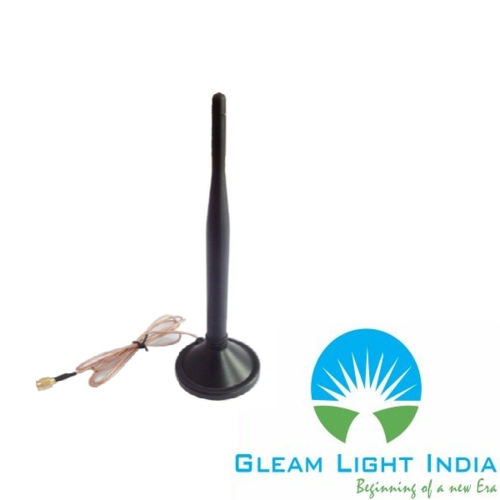 Gleam Light India renowned manufacturer of the best quality Indoor Antenna, We are Manufureing also customized Indoor Antenna that is used for RF Communication & WIFI, Indoor Antenna are made by Aluminium and Others Materials. Indoor Antenna for signal enhancement solution for fixed wireless phones, Data Terminals, Cellular Network repeaters/Mobile Signal Booster and rural telephony applications used within 800 Mhz/900 MHz/1800 Mhz/2100 Mhz/2300 Mhz/2500 Mhz/2700 Mhz cellular Band. “Gleam Light India” is established in the year 2015 by a team of Telecom Professionals, who are having best knowledge and understanding for the respective field with the commitment to offer best quality products with the effectiveness of costs to its clients. Our main vision has to provide all the telecom related products and services under one roof considering 100% quality and delivery rating.